Brazilian midfielder Fred looks set to become Manchester United’s next summer recruit in a deal reported to be worth around £50m. Read on as TheSportWriter.com tells you all that you need to know. Fred – What Does He Have to Offer? Reportedly signed on a five-year deal, Fred makes the move to Old Trafford from Ukranian club Shakhtar Donetsk. 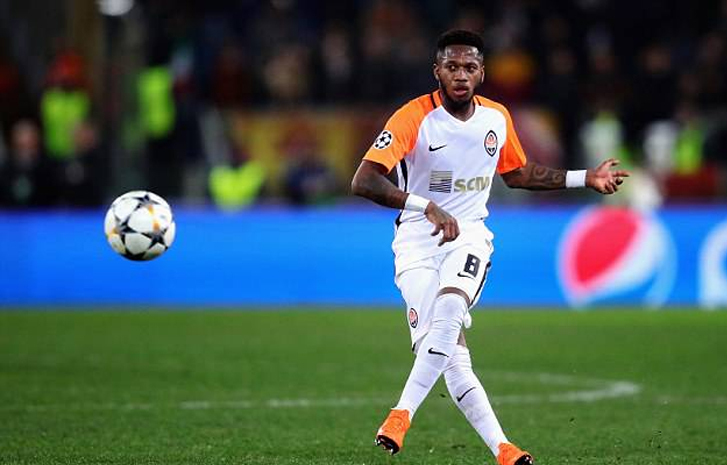 Having previously made a name for himself in his homeland of Brazil with Internacional, Fred went on to establish himself as an important player from 2013 onwards in Ukraine. Previously linked with United’s fierce rivals Manchester City, Jose Mourinho looks to have got his man which provides a much-needed boost to United’s midfield. As part of Brazil’s squad for the upcoming World Cup competition in Russia, Fred wanted to get his future resolved before the action kicks off on the 14th June. Well, it appears that he’s got his wish! Manchester United certainly aren’t messing around this transfer window. After falling behind Manchester City by quite a margin in the race for the Premier League title last term, they are now looking to bolster their squad in order to improve their title-winning credentials for next season. One area that is in need of an improvement is their midfield. With Michael Carrick now hanging up his boots for good, an influential squad member will no longer be part of the dressing room – at least not in a playing capacity! Not only that, Marouane Fellaini has also been linked with an exit too. The towering Belgian international’s contract is due to expire at the end of the month, and it remains to be seen if he’ll still be in a United shirt come next season. So, it certainly wouldn’t be a surprise to see United making at least one more midfield signing. However, the likes of Nemanja Matic, Paul Pogba, and Ander Herrera have already cemented themselves as top performers in the centre of the park. As well as this, the emergence of Scott McTominay shows that Mourinho is willing to give youth a chance – contrary to popular belief! So, who knows, Fred might just be the only player United need to bolster their squad in midfield! There you have it folks! It’s sure to be a busy transfer window for Manchester United this summer – they’ve also just wrapped up the signing of Portuguese full-back Diogo Dalot from Porto too. So, expect to see more new faces at Old Trafford! If United are to have any chance of keeping up with the likes of Manchester City, then signings must be made in order to improve upon last season’s squad. Let us know your thoughts in the comments section below or on Facebook, Twitter, or Instagram.